What Can Central Florida Periodontics Do For You? If your oral health is a priority, why would you trust anyone except the best to handle your dental care? Central Florida Periodontics is a top periodontist in Orlando and offers comprehensive oral care services to help keep your mouth sparkling and your teeth in line. A healthy mouth can be a sign of good health overall, and Central Florida Periodontics has the ability to keep your mouth feeling strong for years to come. How Are My Teeth Connected to My Health? It may sound counterintuitive to think that the health of your teeth affects the health of your body overall, but it’s true. How your mouth feels is often a good indicator of how the rest of your body is feeling too. A rare infection of the inner lining of the heart, endocarditis could lead to open heart surgery. It usually occurs when bacteria from a different part of the body, like the mouth, migrate through the blood to damaged tissue in the heart. We hear the term “plaque” used when talking about a buildup of bacteria on the teeth, but it is that same plaque that can build up in arteries and negatively affect the health of your heart. Certain conditions can have the side effect of negatively affecting your oral health as well. Diseases like Alzheimer’s, diabetes, and osteoporosis all negatively affect the health of your mouth in myriad ways. How Can Central Florida Periodontics Help? As a leading periodontist in Orlando, Dr. Sevor at Central Florida Periodontics has many tools at his disposal to fight back against the bacteria that are harming your mouth. We offer many different types of procedures that can aid with anything that is ailing your mouth. Whether it is dental implants and gum grafting or bite adjustment and bone regeneration, Central Florida Periodontics has the expertise, and experienced staff, to handle whatever your mouth throws our way. We also offer the minimally-invasive laser periodontal therapy. Our lead dental professional, Dr. Jeffrey Sevor, DMD, was the first periodontist in Orlando to offer the contemporary treatment and is the most experienced provider of the treatment in the area. Central Florida Periodontics stands out from other periodontists in Orlando thanks to the way we prioritize customer service. We don’t cut corners. We don’t hide any information. 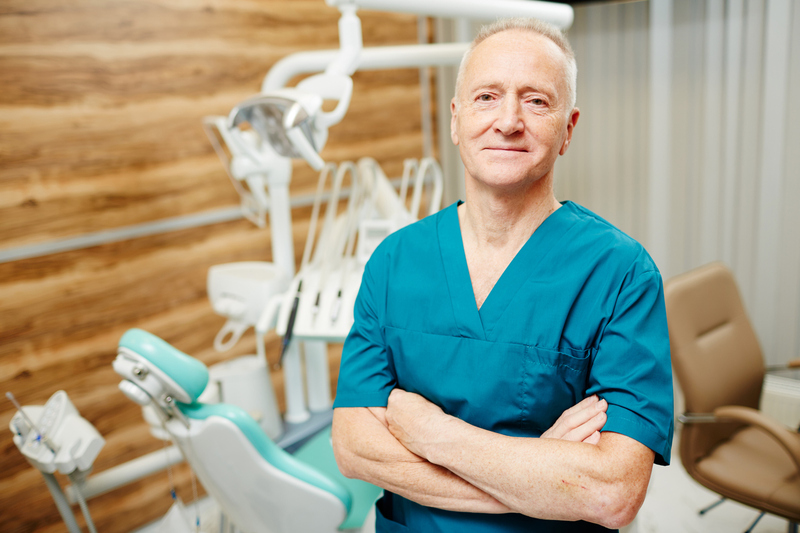 We know that undergoing periodontal work can be stressful, so we make sure to do everything we can to help ease your mind throughout the process. A good deal of the information you’ll need is easily-accessible on our website, and we make sure to leave no stone unturned. Our goal is to make the process as easy as possible from start to finish. To learn more about how Central Florida Periodontics stands out from other periodontists in Orlando contact us today to set up a consultation.